Hot on the heels of yesterday’s first photo of Paul Rudd on the Ant-Man set, we’ve got a couple of shots of his co-star, Evangeline Lilly. Although it was muddied by comments Marvel head Kevin Feige made at Comic-Con, Lilly revealed on her Instagram account with the photos below that she will be playing Hope Van Dyne. Feige had said that she would be playing Hope Pym, which would make her a relative of Michael Douglas’ Hank Pym, the original Ant-Man! But what Lilly’s reveal of her character name also tells us is that she could be the one and only Wasp! Check out this photo of the Wasp and then tell us she doesn’t look like her in the slideshow below. 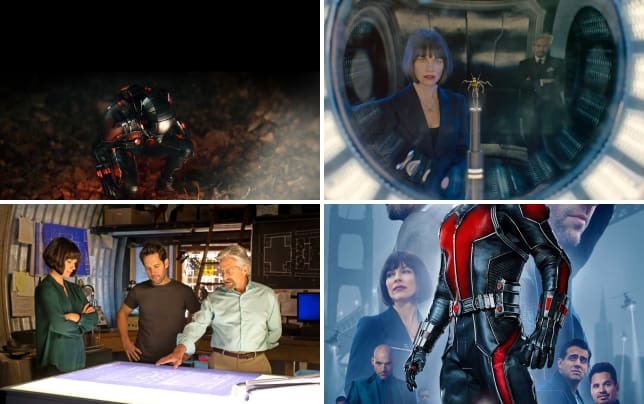 Feige has said that Ant-Man would be a “passing the torch” movie and we always took that to mean that it was Douglas Pym passing the Ant-Man torch to Rudd’s Scott Lang. Perhaps, there’s a double meaning there? And with the demand for a female-led superhero movie at its highest, we think Lilly could be the Wasp and could join a Scarlett Johansson as Black Widow solo movie in Marvel’s future. All that from two Instagram pics? You bet… and yes, there are two, the second is of her and Ant-Man co-star Rudd on the set! Ant-Man hits theaters July 17, 2015. Until then, check out Lilly in action and watch The Hobbit: The Desolation of Smaug online!